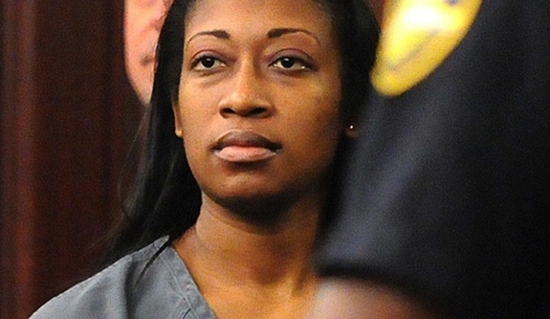 Firstly, I’m embarrassed that it has taken me this long to blog about the plight of Marissa Alexander, but I hope you are following this case. It is, sadly, yet another shameful “WTF? !” moment of institutionalized racial bias in the Florida criminal justice system–my home state. This time, the victim isn’t a young black male shot dead by a prejudice cop, but rather a victim of domestic violence who’d recently given birth. A black mother who fired a warning shot in an effort to get her abusive husband out of their home. Had she killed him, she’d likely have gotten off thanks to the controversial Stand Your Ground law (read: all too convenient loophole for bigots acting out their ethnic cleansing fantasies). However, her intention was not to kill, but to save a life—her own and/or her husbands. Florida State Attorney Angela Corey isn’t about that life though. After Alexander refused to accept a guilty plea bargain, maintaining her innocence, Corey successfully prosecuted the victim, and slapped her in the face with a 20-year prison sentence. For black people in Florida reading behind the lines, her message to them appears to be clearly “kill or be killed— or waste away in a prison.” National outcry and protests helped overturn Alexander’s 2012 conviction in September of 2013, although it was officially reported as a case of “jury misinformation.” You’d think the overzealous State Attorney would drop the case after all the national backlash; after all, Alexander is a survivor of domestic violence who was defending herself and no one was hurt. But nah. Now, a new trial is underway and Ms. Corey is pushing for a 60-year sentence! What’s her agenda here? Daily Kos reported today that five women have stepped forward as witnesses and victims of Marissa Alexander’s husband’s history of domestic violence. Their show of support will hopefully be the nail in the coffin of this charade of justice, but we will have to stay tuned and stay vigilant.